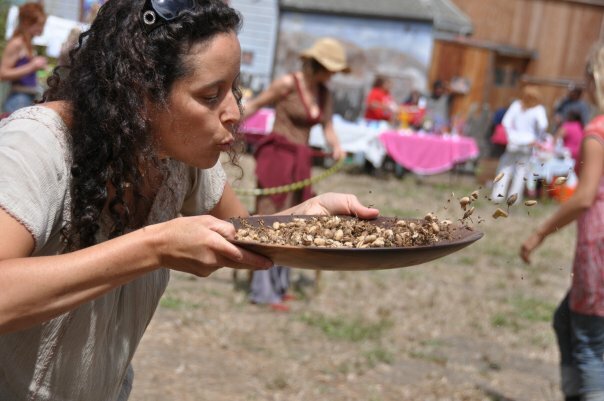 come get tips, learn a technique or two at this Hands-On Seed Saving class at the seminal Garden for the Environment in the Sunset District, San Francisco. This Seed Saving Workshop will be a user-friendly orientation to the mysteries of saving, harvesting and processing plant seeds. The workshop will include an introduction to the philosophy of seed saving, how to distinguish which seeds are easy to save and which are not, hands-on processing techniques and demonstrations, as well as how to store and preserve cultural seed information. Come and learn to save the tastiest veggies from your garden with Medea Aranda, the founder and director of the S.P.R.OUT Seed Library (Seed & Plant Resource OUTreach).